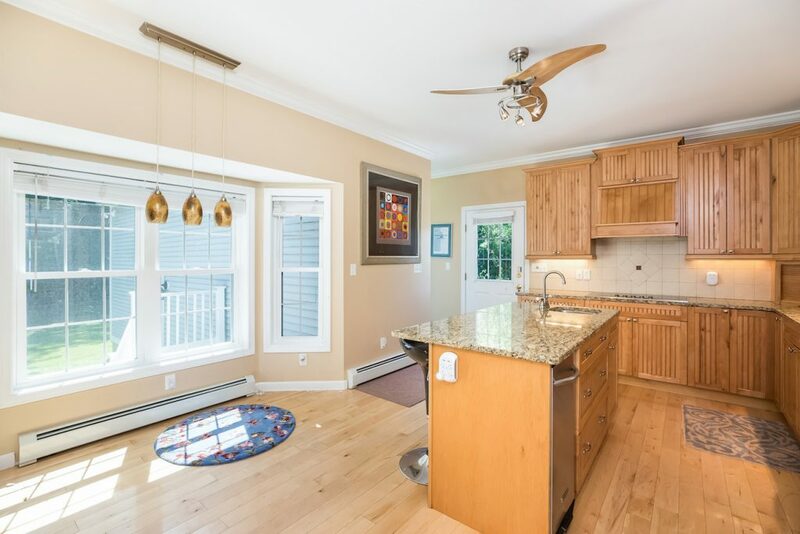 The Arundel home is close to Kennebunkport, Dock Square, and local beaches. The home is set well back from the road. 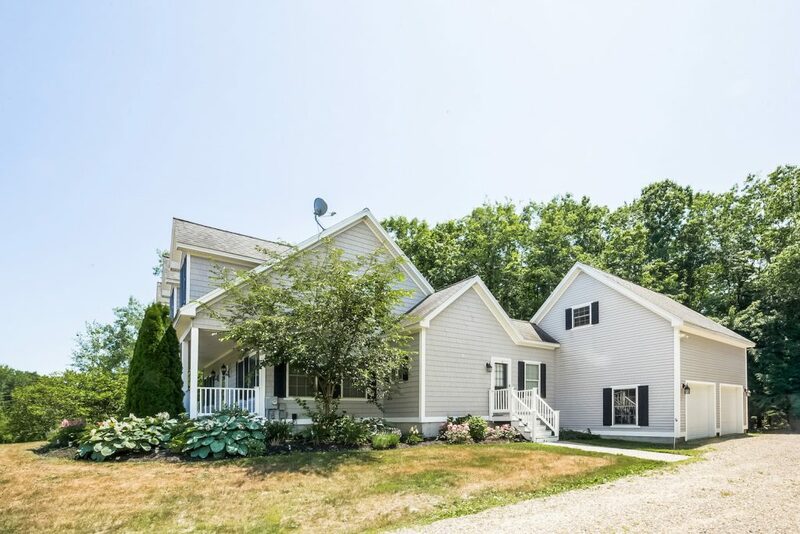 ARUNDEL – Less than two miles from Kennebunkport, and abutting totally charming, organic little Frinklepod Farm, here is an immaculate contemporary Cape that is offered complete with well-appointed furnishings. Built in 2004, the 2,293-square-foot home feels as new as it is to the market (that is, just over a week). Among its advantages are a first-floor master suite that makes single-level living an option; open-concept design; and a degree of floor-plan flexibility. 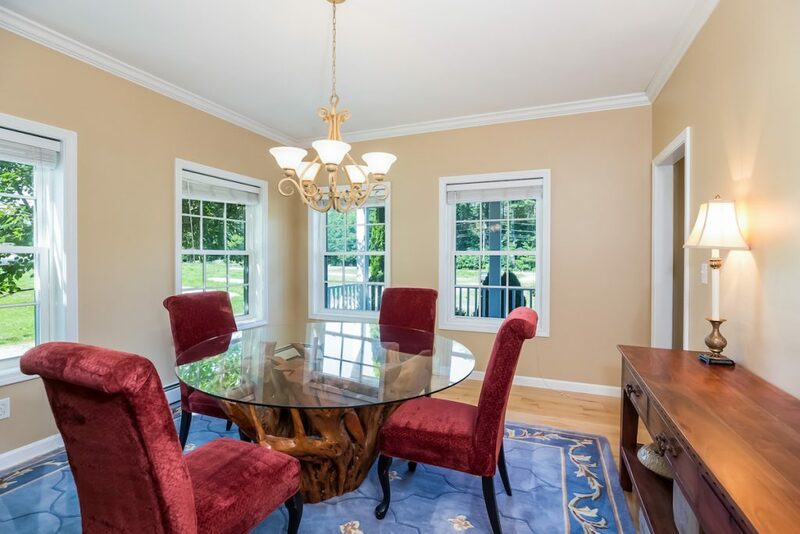 For example, the kitchen has a bright dining bay and an island with seating, so the formal dining room could become a large office/den/study. And the upstairs landing, beneath a cathedral ceiling, is so spacious that it is a room unto itself – a versatile one. 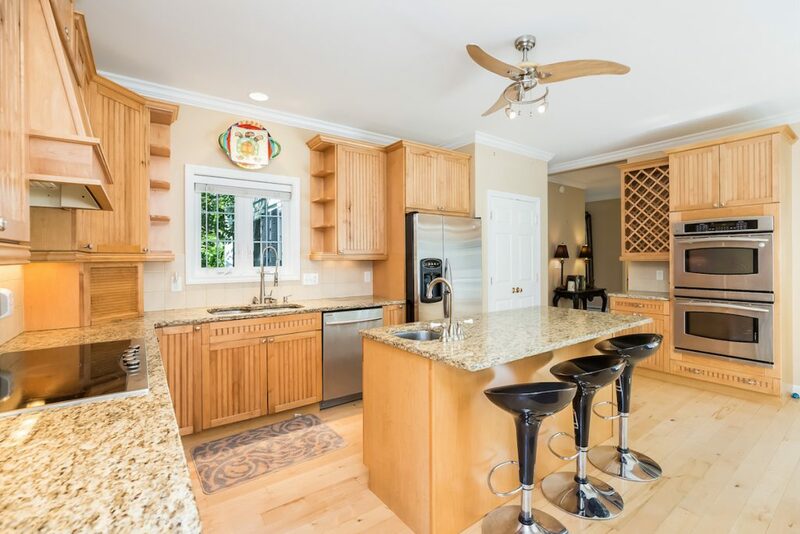 The kitchen – stainless appliances included GE wall ovens; granite surfaces; tile backsplashes; prep sink; and bead-board-accented hickory cabinetry – is a stunner. Flooring is lovely light-toned 4-inch hardwood. 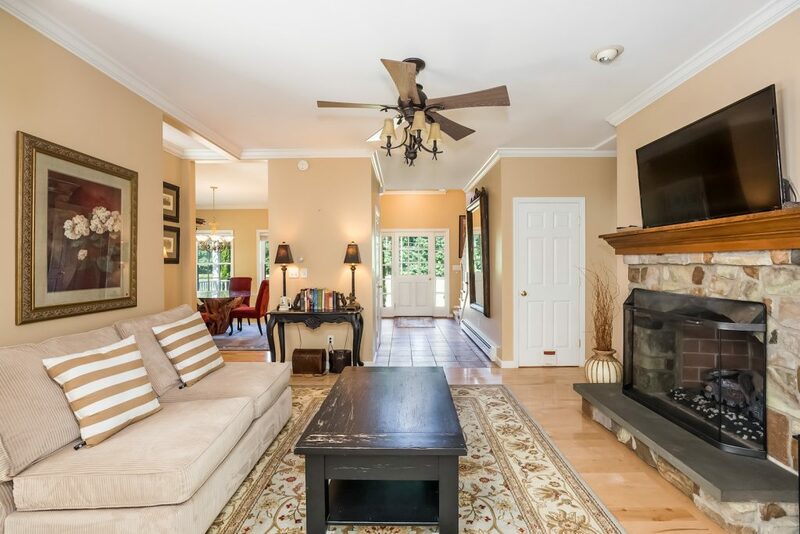 The kitchen flows into a living room that features a gas fireplace in a handsome stone surround, and next to it, a cool antique (or antiqued?) entertainment built-in. 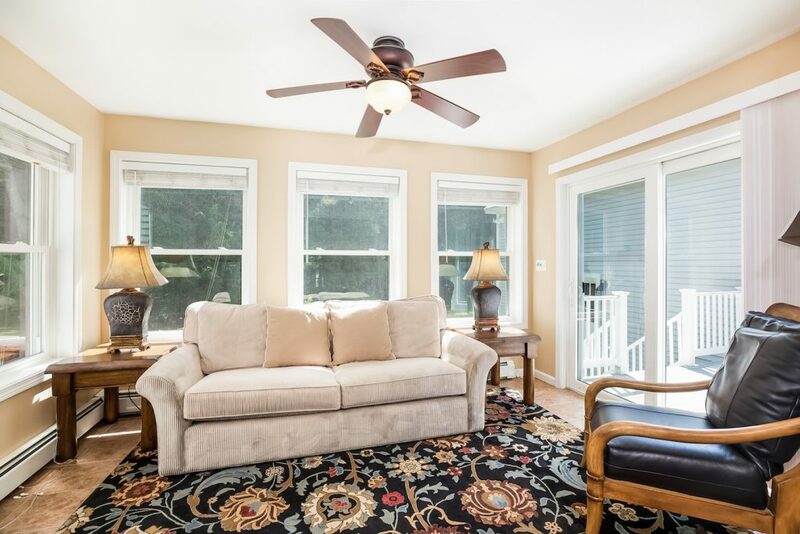 Next door is a wonderful, four-season sun room that enjoys southwest exposure and opens out to the deck. 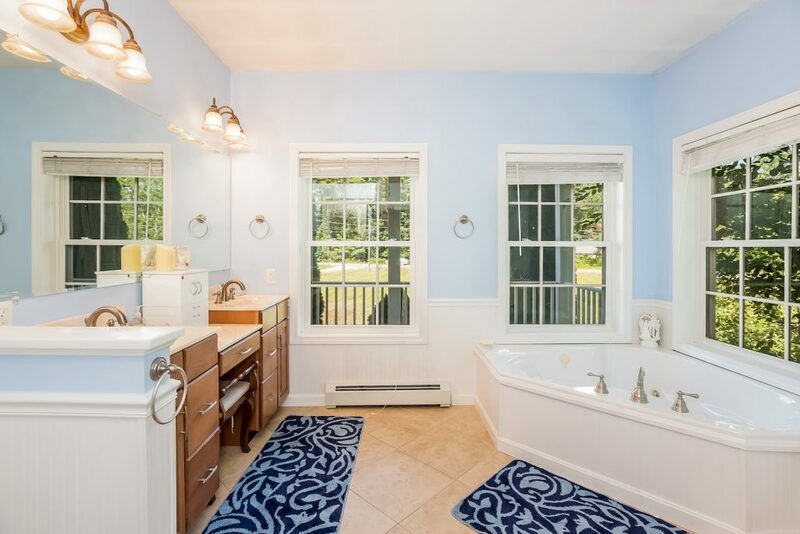 Down the hall, the private master suite has a spa bath with both a glass shower enclosure and a luxurious jetted tub; a deep walk-in closet; and a custom double vanity. 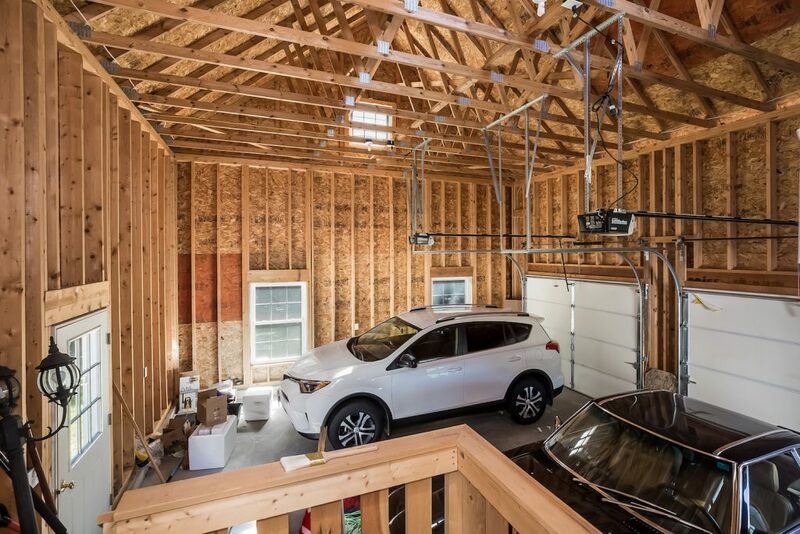 Laundry is off the back hall accessing the oversized, two-vehicle garage. Upstairs, in the traditional Cape design, are two expansive front-to-back bedrooms with ample closets, served by a central full bath. 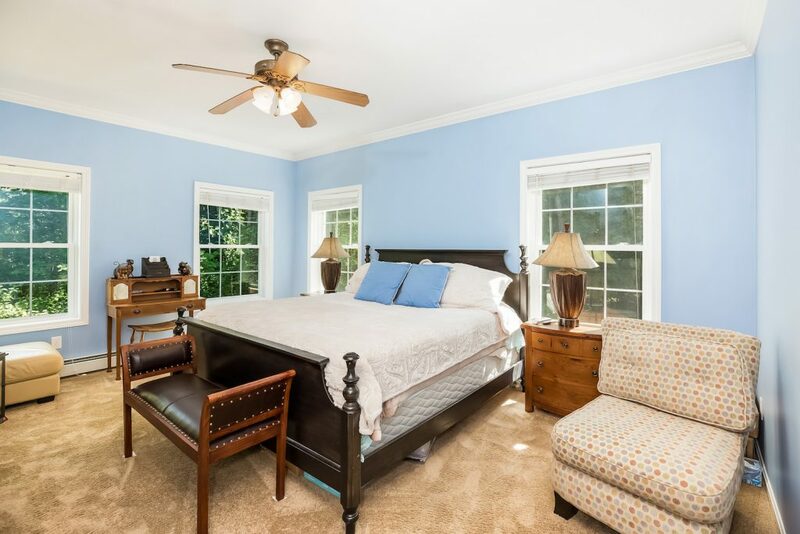 Both bedrooms have window seats – a nice design touch, like the home’s crown moldings. Heat is multizone; the full basement presents finishing options. 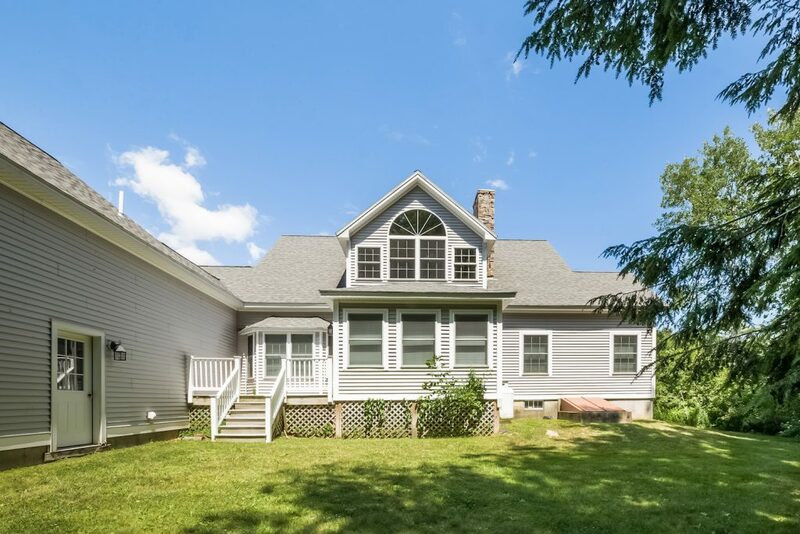 The setting is sweetly pastoral: two acres of lawn, with substantial woods screening. 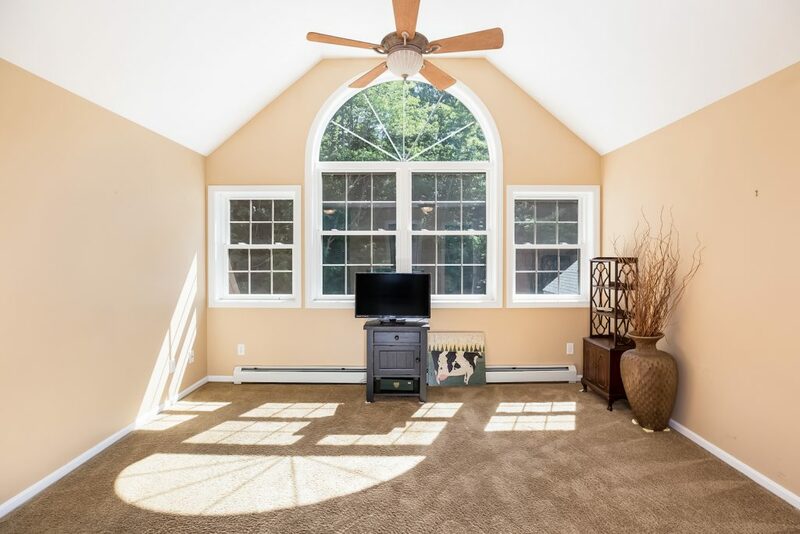 The location is a short hop to Kennebunkport and Dock Square, intown Kennebunk, and local beaches, as well as to U.S. Route 1 and the Maine Turnpike. 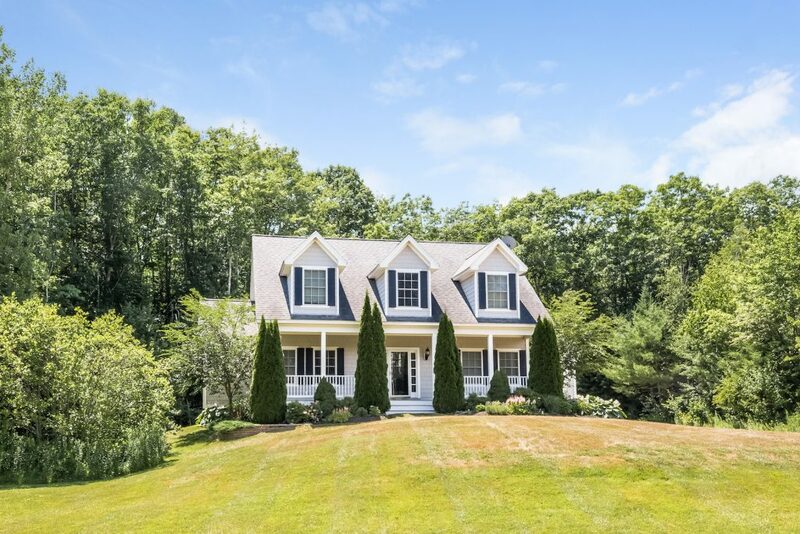 The home at 238 Log Cabin Road, Arundel, is listed for sale at $489,900 by Gail Arnold and Marissa Hyland of Kennebunk Beach Realty. Please contact Gail or Marissa at 967-5481; [email protected], or [email protected].